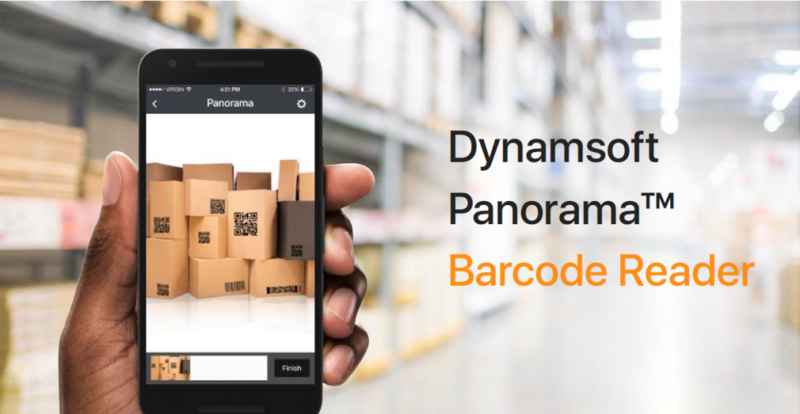 Dynamsoft Panorama™ Barcode Reader is a revolutionary inventory management solution for warehouse managers that improves barcode reader recognition speed and accuracy, delivering results in real-time. Controlling and overseeing inventory accurately and efficiently is an important part of optimizing your supply chain, especially in automated storage and retrieval systems with thousands or millions of SKUs. You need a barcode reader with precision. Any missed, overlooked, or misplaced items result in inaccurate inventory count, which affects the entire chain all the way down to the customer. Identifying the root cause of these inventory problems is paramount. Barcode readers strive for high recognition accuracy, but even a 99% success rate isn’t good enough. A miscount of 1% can have a big impact, especially when dealing with large scales. That’s why having the ability to identify any missing barcodes in real-time is so important. Until now, no product on the market guarantees 100% of barcodes are scanned successfully during the reading process. Using Dynamsoft Panorama™, a worker or automated machine moves alongside boxes or shelves with a mobile camera while the barcode reader simultaneously captures the barcode images. Instantly, the warehouse manager receives a stitched image, which helps him/her to take a panoramic view of the situation and discover the missed barcodes in real-time, as well as see text results of the barcodes. In cases where an automated robot or drone scans barcodes on a shelf, warehouse managers can observe the barcode scanning process remotely, enabling them to interact with the panorama images and control the process. Those who are familiar with photography are sure to understand how panorama stitching works – multiple images are compiled together to create a larger image. Stitching in Dynamsoft Panorama works the same way. Frames taken from the same physical space, or neighboring space, are mapped. The location information of the barcode reading results, and the intermediate products (i.e. contours and line segments of barcode recognition), are used to map and overlap frames. 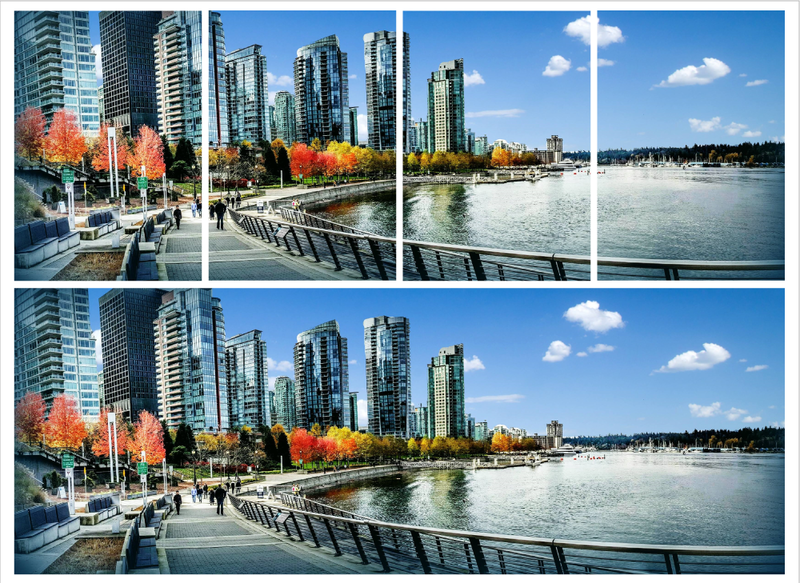 The overlapped frames are stitched together and Dynamsoft Panorama creates a large-space image. This enables warehouse managers to generate an overview, indicating where the results came from and if any barcodes were missed. The manager can then control the camera to scan any missed barcodes. Local – images are captured via the stream and are stitched together on the device (i.e. smartphone, tablet). Since this method requires sufficient storage and battery capacity, it may not be ideal for large projects. Server – images are captured in a stream and uploaded to a computer via the network where they are stitched together. This method is ideal for both small and large projects since storage capacity and battery consumption are less of an issue. Also, since the stitched images are usually large, a bigger screen helps the warehouse manager better reviews the result. Download the Dynamsoft Barcode Reader app today and try the new Panorama feature (currently in beta testing with plans to release soon).